Glow by Nature Made® is a brand new line from the awesome Nature Made® (which is a household name.) You know I like to keep it real around here, and to be quite honest, I'm not the biggest supplement fan when it comes down to it. However, when vitamins and supplements are relevant to my beauty routine (i.e. skin, hair, nails, etc.) I am significantly more likely to take the chance and experiment to see if the claims are true. During the hotter months of the year (and even some of the colder ones here in Arizona) my skin is ridiculously dry. 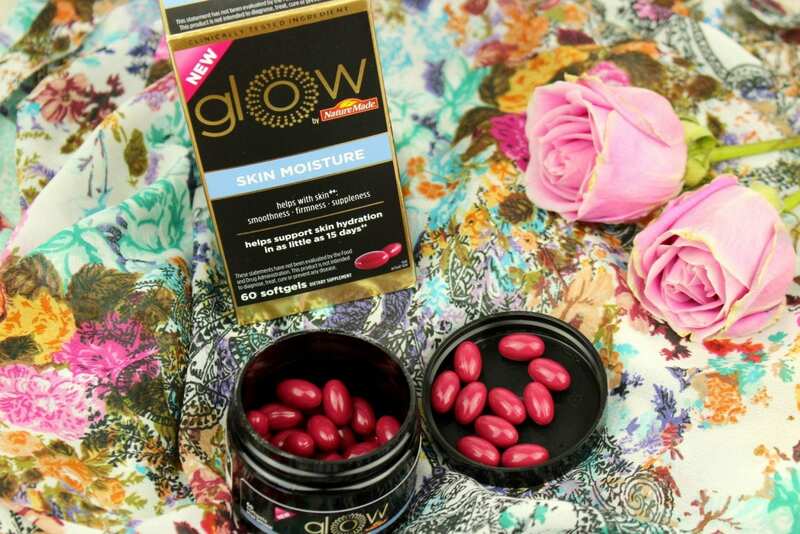 This is why I had a desire to try this from Glow by Nature Made® a go, and see how it works. Each box of soft gels retails for $13.99, which I think is a very small price to pay for the benefits. While I cannot make claims about this product (FDA guidelines and all) I will say I 150% recommend snagging your own box the next time you're at Target. 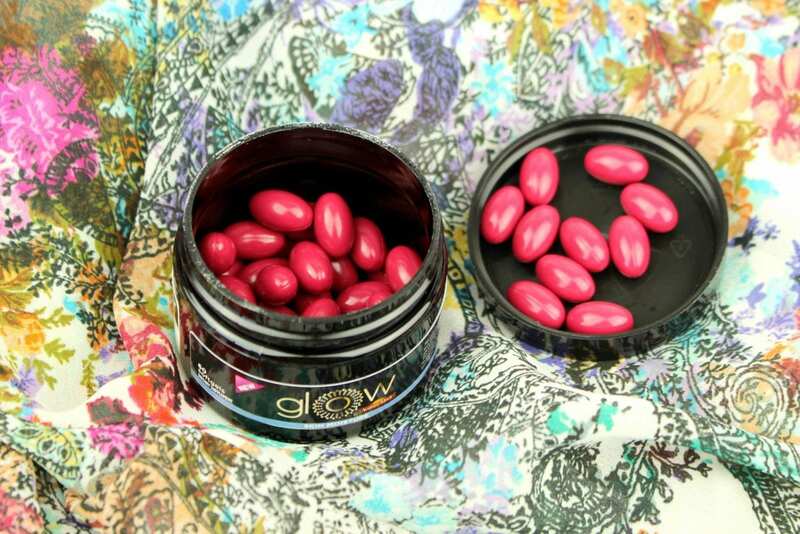 You can find Glow in the vitamin/supplement aisle at Target. Before I go, I thought I'd tell you that one of my absolute favorite things about this product is that you have a 30 day love it guarantee. If you don't love the product after using it for 30 days, you can return it and get your money back even if you've used the product. That type of guarantee is comforting as a consumer, and makes me more likely to purchase given the brand feels so confident about the quality, they will let you return it if you don't care for it after 30 days. Knowing how this worked for me, you won't be returning! You can receive 10% off Target.com (online only) with promo code: GLOW from 4/23 - 5/27! So tell me, have I got you a bit intrigued?